A lion killed a U.S. tourist at a private park in Johannesburg on Monday, when it mauled the woman was sitting on the passenger side of a vehicle with the window down. The woman has not been identified. A lion killed an American woman and injured a man driving through a private wildlife park in Johannesburg on Monday, a park official said. 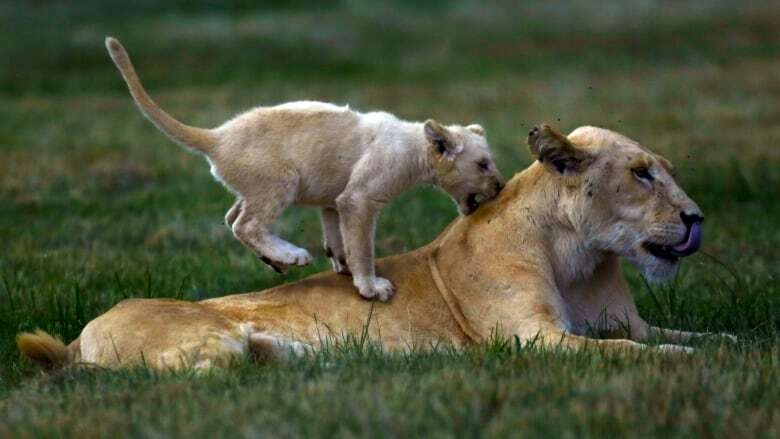 The attack occurred at around 2:30 p.m. local time when a lioness approached the passenger side of the vehicle as the woman took photos and then lunged, said Scott Simpson, assistant operations manager at the Lion Park. "They had their windows all the way down, which is strictly against policy," he said. "The lion bit the lady through the window." The driver then tried to punch the lion and was scratched by the animal. Park staff quickly chased the lion away from the car and an ambulance arrived promptly. "Unfortunately, she did pass away," said Simpson, adding that the U.S. Embassy had been informed. Earlier, the embassy confirmed that it had received reports of an "incident involving a U.S. citizen" at the Lion Park and was ready to offer "any assistance possible." The Lion Park is a popular destination for tourists who can drive in their own vehicles through large enclosures where lions roam freely. Visitors can also pet lion cubs in smaller pens or have supervised walks through cheetah enclosures. "Nowhere can you get closer to a pride of lions and other animals and still be completely safe," says the park's website. The park would review its policies, said Simpson, but he believes existing safety measures are "more than adequate," if visitors follow them. Big signs advise visitors to keep their car windows up and drivers entering the park are also handed a paper with the same warning, he said. Police spokesman Lungelo Dlamini said he did not have a name for the 22-year-old woman or what part of the United States she was from. Her travelling companion was South African. Earlier this year, South African media reported that an Australian tourist was bitten by a lion when he was driving in the park with his windows open. In April, a teenager was attacked by a cheetah when he tried to cut through the park on his bicycle, reported local outlet, News24.